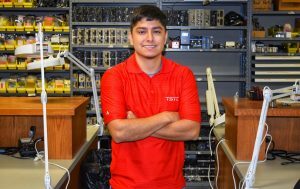 (WACO) – After Esteban Hernandez graduated in 2012 from Louis D. Brandeis High School in San Antonio, his parents lobbied for him to attend Texas State Technical College because of family ties to Waco. Instead Hernandez worked at a restaurant, a land-surveying business and a warehouse. He also dabbled in studying radiography. “Wow, I wasted so many years,” he said. Six years after his high school graduation, Hernandez is realizing his dream of being a college graduate with a transformed life. 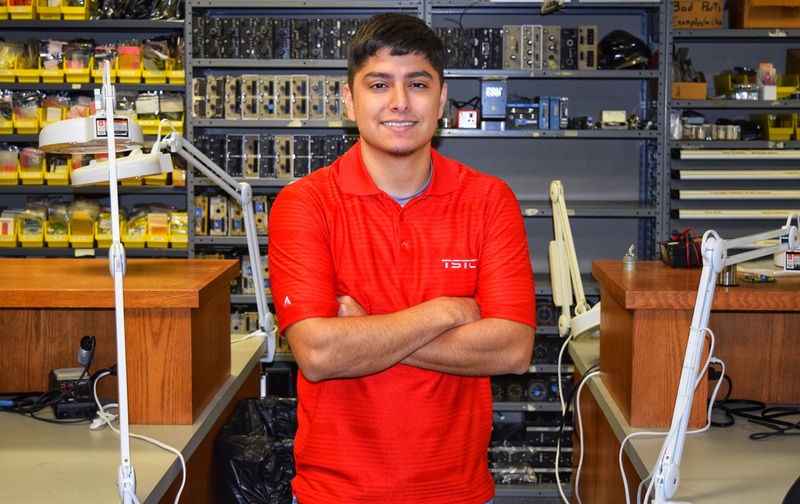 He is a candidate for graduation with an Associate of Applied Science degree in Avionics Technology at Texas State Technical College’s Fall 2018 Commencement at 6:30 p.m. on Friday, Dec. 7, at the Waco Convention Center. Hernandez began working part time earlier this year at JAG Aviation in McGregor. He gets to work with employees on older and newer plane radio systems. He said the work is a way to use what he learns at TSTC. Hernandez enrolled at TSTC in 2017 and moved in with his grandparents. His inspiration for studying aviation was his cousin’s husband who is employed at Southwest Airlines and his own fondness for hands-on work. Hernandez will not wait long to pursue his next goal. In January, he will start taking classes in the Aviation Maintenance program at TSTC. This entry was posted in Waco on November 28, 2018 by Daniel Perry.